Description: Gray-brown above; fox-red or orange breast; white throat; yellow bill; white lower belly; and blackish head and tail. Female has paler head and tail. 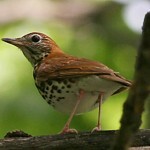 Juveniles are brown-spotted below, and lack characteristic red breast. Habitat: Originally associated with open woodlands, it is now probably most common in cities, suburbs, parks, gardens, and farmlands. 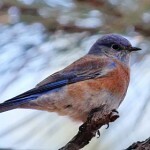 Where in Nebraska: Common summer resident across the state. Frequently overwinters. 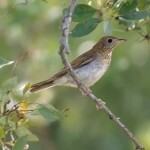 Nebraska Seasons: Abundant spring and fall migrant. 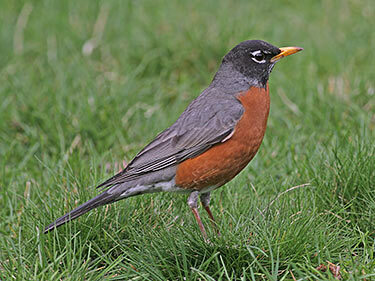 Fun Facts: Even though the American Robin is the quintessential sign of spring, many Robins actually spend the whole year in the same place.